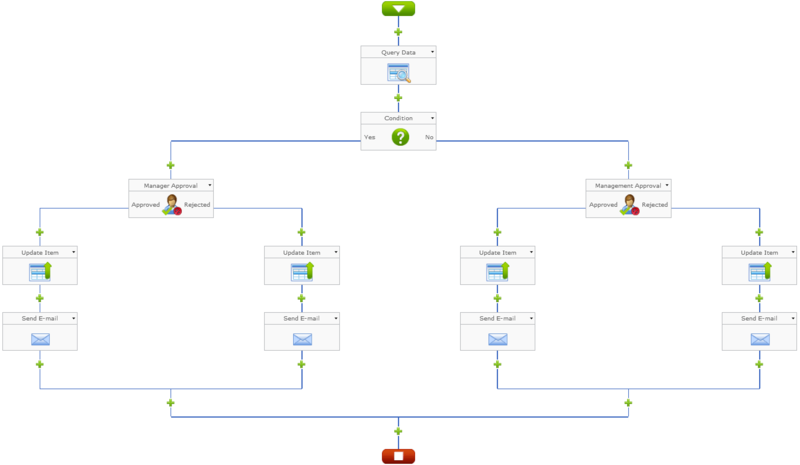 Workflow Boost takes the complexity out of process design with a simple browser-based drag-and-drop graphical user interface. With no need for coding, users will save time when creating workflows. Five sets of well-organized activities are available to model various business processes such as document or request approval (plan, invoice, expenditure, leave, vacation, travel, expenses, etc.). 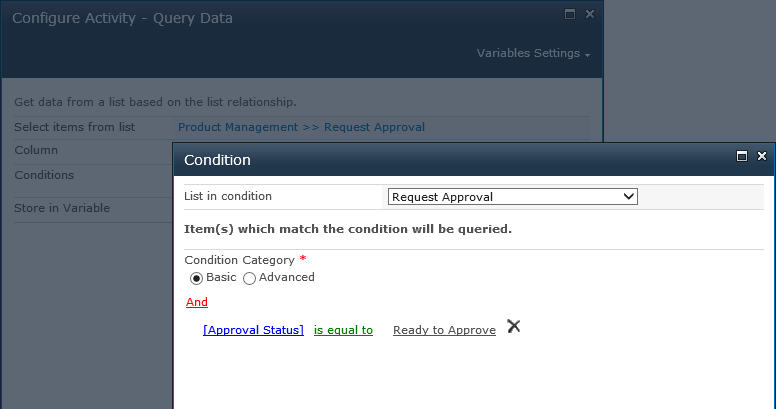 Users can put limitations on running particular actions based on easy-to-use conditions. 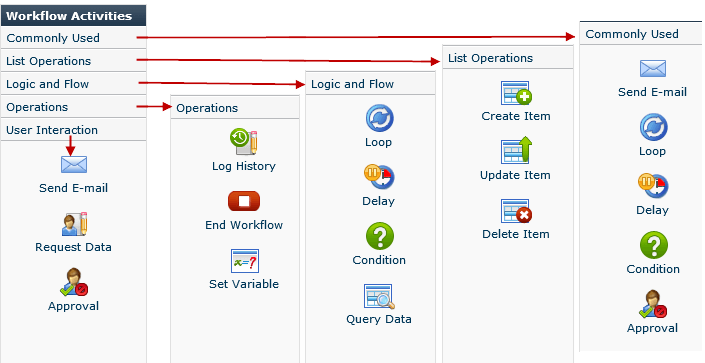 These conditional logics are widely seen in workflow activities such as Condition, Query Data, Loop, Update Item and Delete Item. 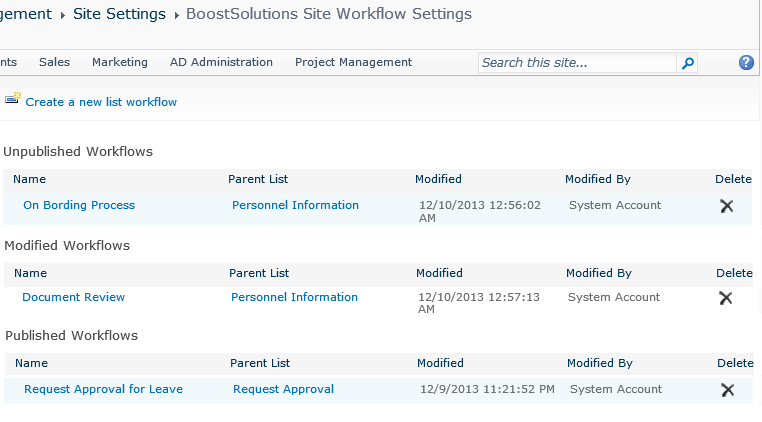 Writing workflows in SharePoint can cost lots of time and effort, and their maintenance can be a nightmare. 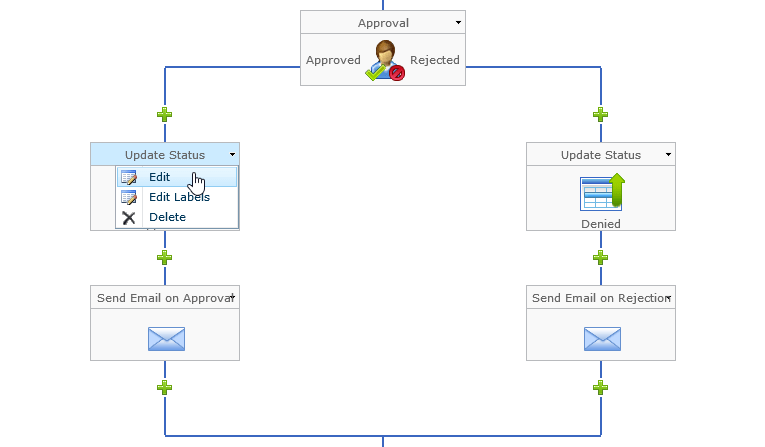 With Workflow Boost, users can visually and easily make changes to workflow activities or modify the workflow architecture by moving the activities. For security concern, users can only create and manage their own workflows at list level, while site owners can monitor and manage all list workflows within a site from a central location at site level.